Acai is one of those superfoods that, besides being delicious and “Instagrammable”, is widely lauded by for its multiple health benefits. Jam-packed with antioxidants, fibre, vitamins and minerals with supposedly anti-cancer and brain-boosting effects, acai bowls are hugely popular among both the hipster and fitness community. Nestled amidst the lush greenery of Singapore Botanic Gardens, JUJU is a takeaway kiosk that serves a myriad of healthy, wholesome food on-the-go. Their acai bowls, in particular, stand out for being 100% plant-based without the use of any refined sugars and whatnot. 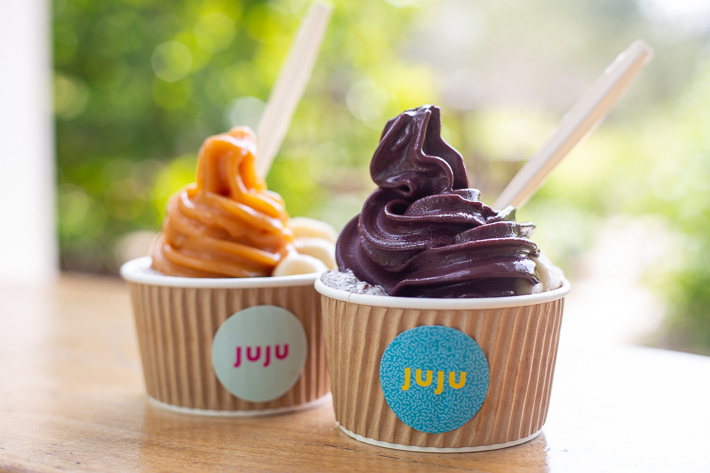 Whether you’re looking for a guilt-free dessert after sweating it out at Singapore Botanic Gardens the entire morning or just a rejuvenating, ice-cold dessert to enjoy as you explore the park, JUJU—located over at the Visitor Services Kiosk—will surely have you well sorted. Most of us give no second thought before digging into foods that are high in gluten, such as pasta, bread, pastries and of course, beer. For the uninitiated, gluten is essentially a mix of proteins that can be found in wheat and its related grains, which includes barley and rye. Granted, gluten can be found almost everywhere as it is found in many of our staples. Though gluten is not explicitly detrimental to our health, a gluten-free diet comes packed with multiple health benefits such as reducing the risk of heart disease and promoting of healthy weight loss. The idea of cutting out an ingredient so common just seems too repelling and troublesome, especially on days when you’re out and about looking for a treat to cure your sweet tooth. Fret not, for here are 7 places in Singapore where you can find gluten-free desserts to indulge in without feeling like a glutton.